Do you want your audience to be inspired about the power of using visual storytelling and digital content? Excited to hear real life examples of businesses just like theirs that are getting awesome organic reach, referrals and results? Do you want them walking away pumped up to take action with step-by-step actionable ideas? If you are looking for an engaging speaker for your next event in tourism or marketing, talk to my team about booking me for your next conference or training day. For more information about my keynotes and speaking, check out the video and testimonials below. Use the contact form at the bottom of this page to contact my team. 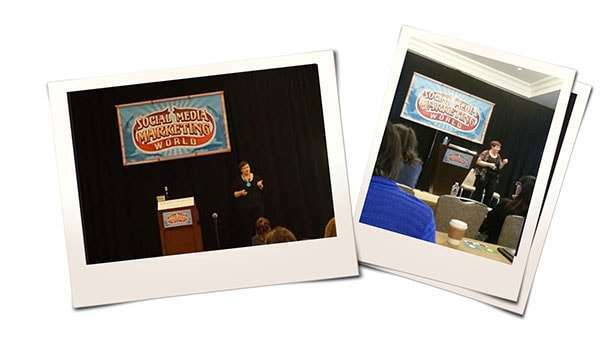 As a sought-after expert on the topic of visual storytelling and content strategy, I speak around the world at Major Conferences within the marketing and tourism industries. 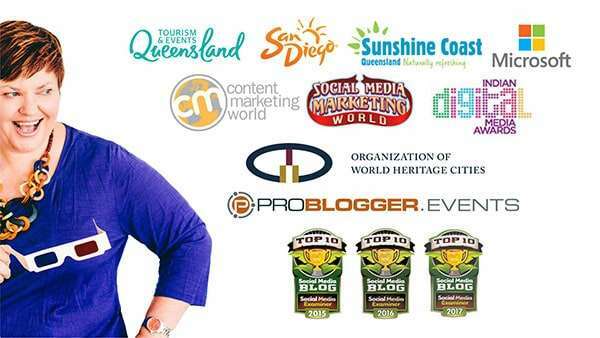 Some of my clients include conferences and events such as Social Media Marketing World (Social Media Examiner), Problogger Event, Content Marketing World, the Indian Digital Media Awards, Destination Think’s Social Media Tourism Symposium (SoMeT) and corporate conferences for brands like Tourism Queensland, Visit Sunshine Coast and Newscorp’s Tourism Innovation Conference – even the Indian Digital Media Awards! 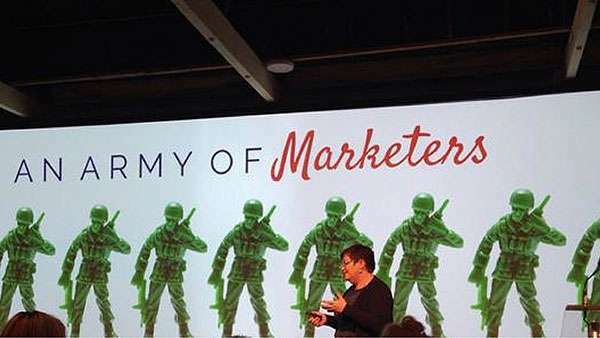 I am a 6-time speaker for Social Media Examiner at Social Media Marketing World and speak regularly at Social Media Examiner’s Social Media Success Summit (the world’s largest online Social Media Conference) and I am a contributor to Social Media Examiner, and other major sites like Entrepreneur. 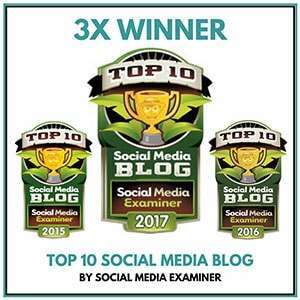 … and my blog has been featured as one of the Top Social Media Blogs in the world in numerous awards, including Social Media Examiner’s Top 10 Social Media Blog Competition (2015-2017) and Best Business Blog in Australia 2014. Top 100 Digital Marketers (Brand 24) 2018 – View the full PDF Report here. I regularly speak internationally about the power of visual storytelling in the marketing and tourism industries. My sweet spot is talking about visual content for tourism but I can tailor a bespoke presentation about visual storytelling, content strategy and social media to any industry. I want my audience to leave the room inspired about the power of visual content and content strategy and inspired to take action immediately. 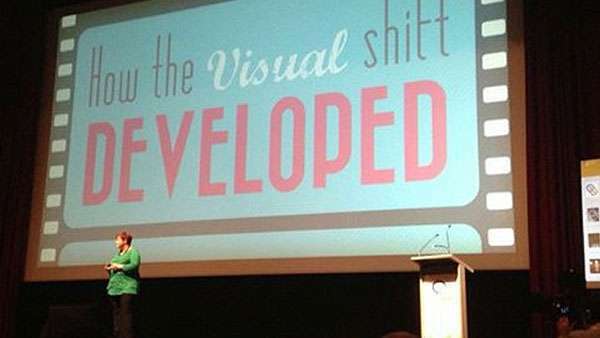 My presentations are jam packed full of actionable takeways, tools and strategies. I guarantee to have your delegates thinking differently about visual content… thinking in 3D even…. Donna Moritz is a digital content strategist with a passion for visual storytelling, and the founder of Socially Sorted. 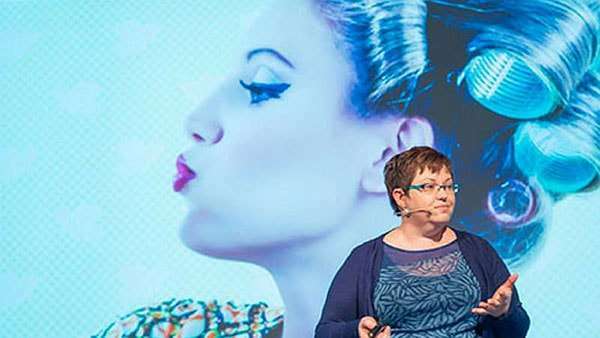 She helps brands leverage the power of visual storytelling and content strategy, and is a highly sought-after speaker and trainer in the marketing and tourism industries internationally. 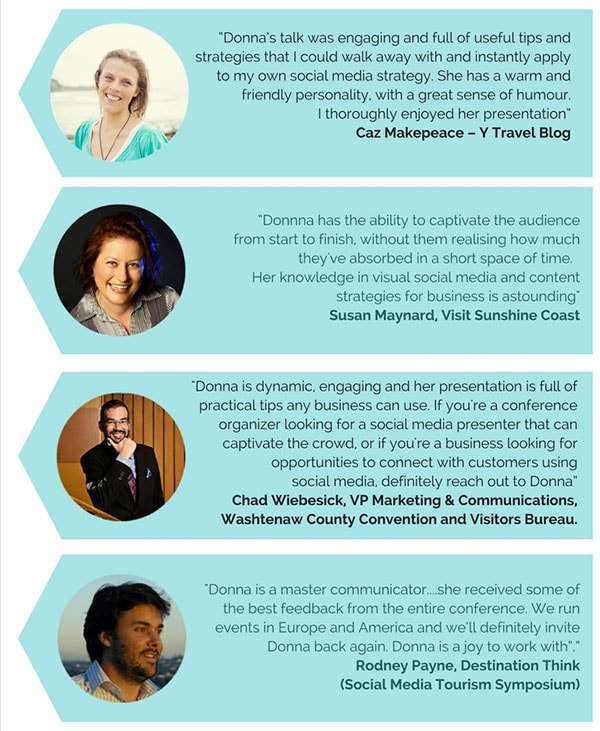 Donna’s blog Socially Sorted, is among the social media blogs worldwide, including Best Business Blog in Australia (2014), and Top 10 Social Media Blog (Social Media Examiner) 2015-2017. She is consistently listed as a top 50 social media influencer worldwide, and her content has been featured in publications such as Forbes and Entrepreneur Online. She is a regular contributor and trainer for Social Media Examiner. 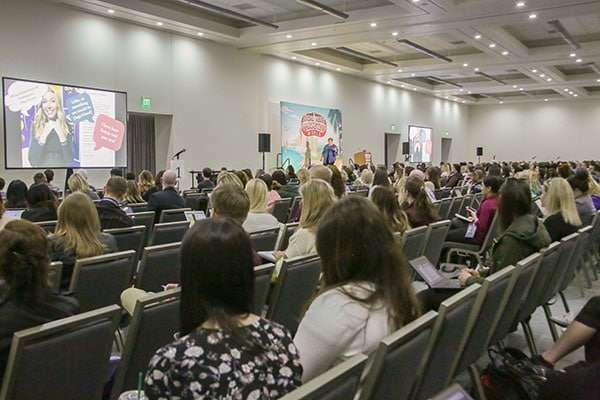 I am a dynamic, fun, speaker who loves to engage with your audience and leave them entertained, inspired, and armed with at least 3 key takeaways from every session. My keynotes are packed full of stunning visuals (.. as to be expected!) and are customized to suit your audience and your needs. 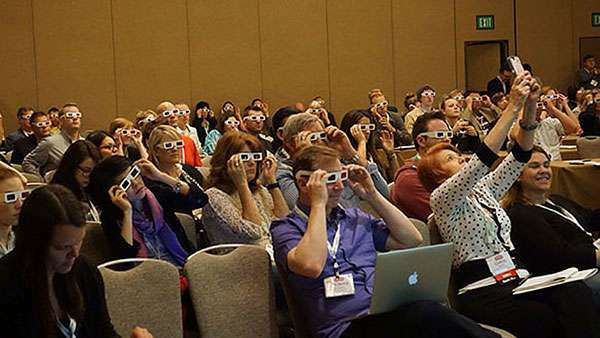 The Art of Visual Storytelling – Tools and Strategies for attracting Visitors to Your Destination Business (4 Hour Workshop – Content Marketing World, Cleveland USA, September, 2017. Private workshops and training for Tourism Queensland and Sunshine Coast Tourism. 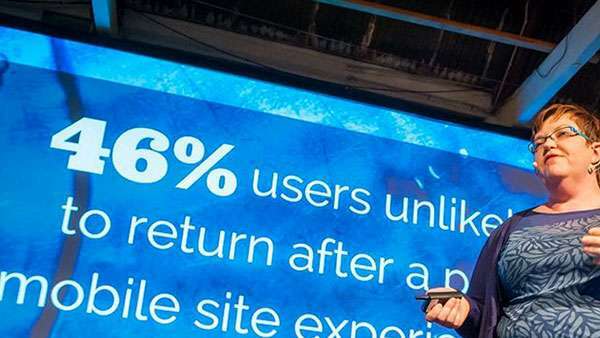 When I speak at a major conference, I design my slides and engagement with sharing in mind – I love the power of user generated content and love seeing your delegates share your conference content like crazy. Big, stunning visuals are my thing. They are designed to encourage the audience to snap, instragram, tweet and share… and to learn and be inspired. To make sure your attendees don’t miss a thing, I prepare a Resource Page for the session so they can refer to it later, including every link, tool, website or resource I mention. So, there’s no need for your conference delegates to write down notes and URLs! It’s all there, waiting for them when they need it. I want the audience to focus on the content during my session, and enjoy the experience. Because life is too short to have your head down taking notes! Getting Social with Mobile – How to Create Content, Share Your Story and Engage with More Customers. 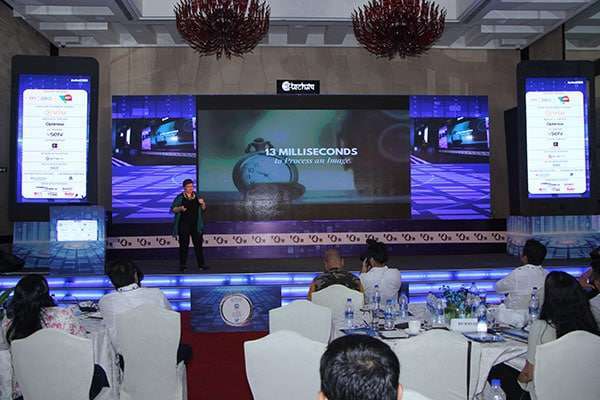 Unlike some keynote speakers I don’t just roll out the same presentation multiple times – I love to work with YOU to tailor the best presentation for the needs of your audience. 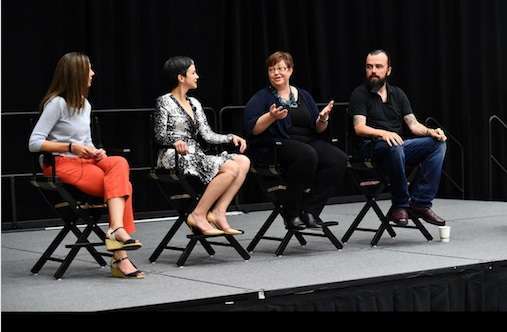 Anything to do with Customer and Employee advocacy, User Generated Content and the power of Story (with Visual Content thrown into the mix) is what I love to talk about! Use this form to enquire about Booking Donna at your next event. Be sure to let us know about your event, your budget for speakers (including accommodation and travel) and what type of presentation you need. Please note that due to the number of speaking requests Donna receives, she is generally only able to consider paid speaking engagements, however special dispensation can be made for not-for-profits or special circumstances or events depending on location, flight and accommodation costs being covered and availability.